It’s not always easy being a tenant because there are so many unknowns that you might have to deal with. Tenants often make some mistakes that leave them vulnerable and exposed. At times, they might not even do this knowingly. Here are some of the top 5 security mistakes that renters make and the ways they can avoid them. For the sake of your security, it is crucial for you to take the time to assess the state of your unit before you move in. In many ways, security is often about prevention, much more so than it is about action. Putting time aside to effectively assess your unit will make you aware of any security flaws and vulnerabilities that you can potentially face. This reduces the possibility of renters being blindsided by anything out of the ordinary. One of the reasons why many tenants forget to do this is because they place blind faith in the words of their landlords. Now, there are some landlords who are deserving of this faith, but there are some rogue landlords who will not prioritize your security needs. Tenants should make sure that they always go in for a property viewing before they agree to anything or sign any contracts. Doing so, they will be able to assess the state of their security for themselves and take note of any changes that will have to be made to battle inherent security vulnerabilities. Also, make sure you properly document any damage you might come across during a viewing so that you are not wrongfully charged for it later. The laws regarding landlords and tenants are very tricky and dense to get through. There are a lot of loopholes that each party can make use of to undermine the other, but this is neither here nor there. Among these laws, most landlords are required to provide a semblance of security to their tenants, and most landlords accomplish this by installing residential deadbolt locks on most of their units and homes. Now, the mistake that renter’s make is to settle with the stock door locks that have been put in place for them. Ideally, you should make it a point to learn and inquire more about the state of your door locks, so that you have an idea of whether they are actually protecting your or not. It is often the case that landlords have Grade 3 residential deadbolts installed because they are cheaper than their high-security counterparts, and they meet the minimum requirements. Tenants can talk to their landlords about changing the locks on their units or their home. But it is important to know the door lock price, and who will be expected to pay the bill. Once you can iron out the details, getting a new lock will increase the base security that you are afforded, and it will give you the opportunity to upgrade your door locks for a more secure solution. As I mentioned, make sure you discuss this with your landlord to see if you are allowed to even change your door locks. If you are not, put in a request to your landlord asking that they handle the lock change, and then negotiate a reasonable price. 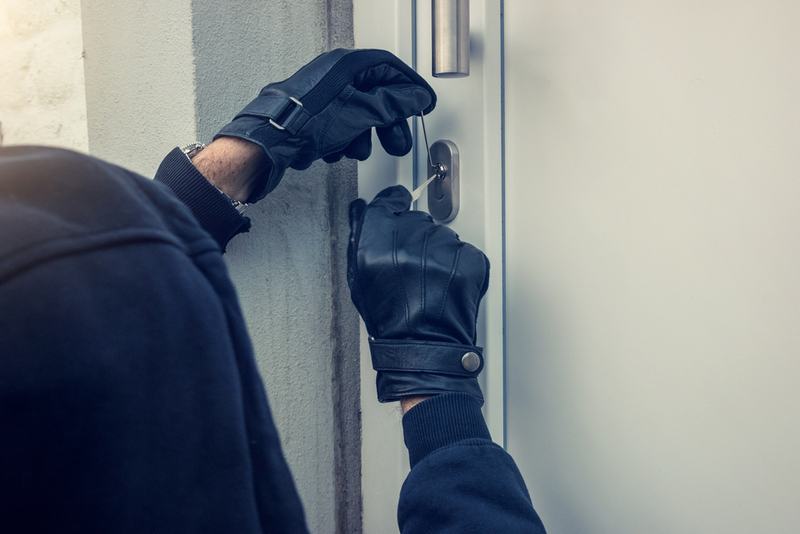 Another common security mistakes that renters make is to think that door locks are the only security and safety measure that they need to have in place. This sentiment has left many a renter in an unfortunate position. As I pointed out earlier, making the mistake of settling with your door locks can leave you vulnerable, so do not make the same mistake of thinking that having door locks is enough to keep your apartment or home secure. There are some renters who will not have to deal with this problem because their landlords are already very security minded. However, this is not the case for all renters and their landlords. Engaging in a conversation about security with your landlord can potentially lead to a very fruitful outcome. Tenants can benefit from the addition of surveillance cameras systems, monitored security systems, glass security film, and a host of other security solutions that will help keep you much safer. In order to make sure that the appropriate additions are being made, you will have to understand the ways you are vulnerable (see point 1), and know which solution works best for your space. Maintenance is another thing that inhabits the gray area that exists between renters and their landlords. The reason it exists there is that it is often unclear who should be in charge of security maintenance and general maintenance tasks. Some renters are lucky enough to not have to deal with maintenance because it is handled by their landlords, but this isn’t the case for everyone. Ideally, you should talk to your landlord (preferably before you sign any agreement) to try and figure out who is supposed to be responsible for security maintenance. If this responsibility falls on your shoulders, then stay abreast with it. The first key to maintenance is being aware of the ways in which your security devices and other components of your rental are working. Even if you are not in charge of security maintenance, you should still make a habit of notifying your landlord as soon as you realize that something requires maintenance. This could be something as mild as a door lock that is jammed, but without the proper care and attention, it could lead to something much more. The final security mistake that many renters are guilty of is underestimating the importance of adequate key control. Key control is an important part of your security as a renter, yet many people neglect it because they do not really know what it entails. Essentially, key control is the term that is used to describe the specific people who have access to your keys. When it comes to apartment buildings, renters have to be cognisant of the fact that there is always a chance that someone else has access to your unit. This could be through the use of master keys, or an illegally copied key. Regardless of the way in which it is done, it is crucial for renters to gain absolute control of their keys so that they are not left vulnerable in any given way. One of the best ways to do this is to ensure that your landlord changes the locks to your unit after you move in. Also, verify that there are clear guidelines in place to prevent your landlord from abusing the use of their master key. Understanding the risks that you face is the first step to implementing measures that will help you avoid them. Remember, talking with your landlord is key to making sure that you are all on the same page when it comes to your security. It will also give you insight into the actions you can carry out, and those you cannot.